Hair Coloring has come a long way from the early days of using hair dye to simply cover gray hair and the signs of aging hair. All that changed in 1977 when Tish & Snooky Bellomo opened Manic Panic America's first Punk Rock boutique in New York and created the first alternative cosmetic hair colors brand. 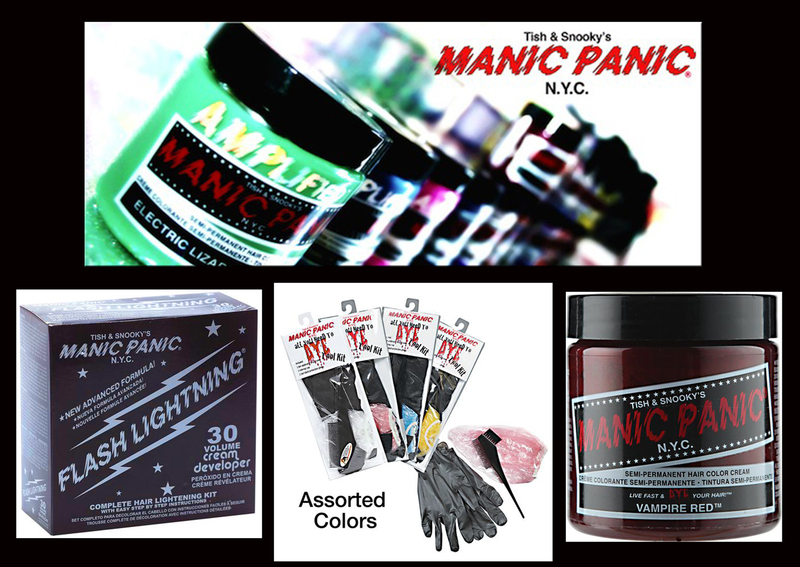 Over the past 39 years Manic Panic has grown into a worldwide brand with stores throughout the United States , Japan, England, Colombia, Australia, Canada, Indonesia, Romania, South Africa, Sweden, and Turkey. Manic Panic has made hair coloring into Living Art Form and become a beauty industry leader in alternative creative hair color. Manic Panic Semi-Permanent Hair Color Cream features not only a classic cream formula, but a vegan formula that colors and conditions hair. 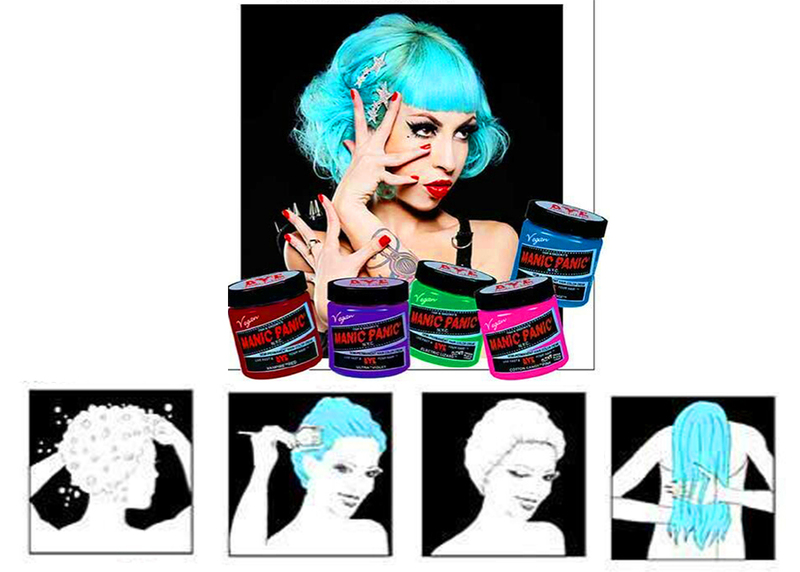 Manic Panic vegan cruelty free formula is a direct dye, no mixing required and lasts 4-6 weeks. Step 1: Shampoo hair using a deep cleansing shampoo and dry hair after. Step 2: Apply color evenly with tint brush. Saturate hair thoroughly, comb through hair for even coverage. Step3: Cover hair with plastic cap and leave color on for 30 minutes or longer. Step4: Rinse in cool water away from face until water runs almost clear. In most cases there is no need to use conditioner as Manic Panic conditions as it colors. The Manic Panic Flash Lightning bleach kit is designed for pre-lightening the hair before application of the Manic Panic semi-permanent hair colors. Everything you need to lighten your hair is included in this kit: dust-free bleach powder, cream developer, mixing tub, tint brush, plastic cap, protective gloves and instructions. Start with a Test Strip when coloring pre-lighten hair. Hair Color has evolved into a Living Art Form. Inspired by Manic Panic creative hair stylist's / colorists are using splashes of color statically placed to create colorful Holographic hair styles. For inspiration take a look at a collection of colorful hair designs showing up around the globe. 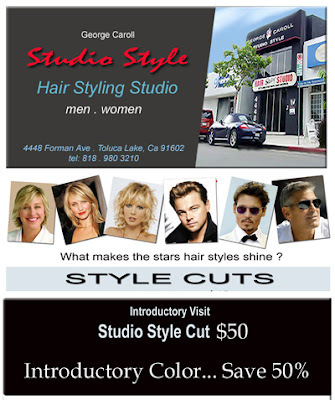 Drawing inspiration from the hair style trends of our favorite stars and celebrities has become national past time. 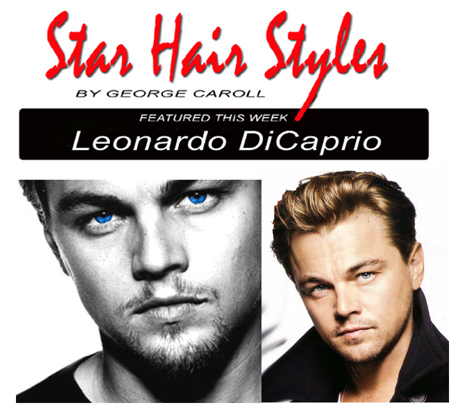 One of the most popular star hairstyle for men with straight hair and youthful features is Leonardo DiCaprio. His movie star good looks, dapper hair styles (short or long), baby blue bed room eyes and movie star persona make this leading man irresistible to women attached to the adventurous side and quite the catch for those girls drawn to the sensitive, creative types. Have you been looking for a way to style your fine straight hair and give you that movie star look that’s irresistible to women? If that’s the case, take a styling lesson from Leonardo and watch what happens when you show up looking like a movie star. To get the look, let’s take it one step at a time; starting with a style cut and shaping. LET’S SHAPE IT: Start with a shaped to fit contoured shaping with close tapered sides. For a longer look the neckline is stylishly over the collar with the front and sides a bit longer to brush back without a defined part. This stylish look works best for straight and slightly wavy hair and most face shape. 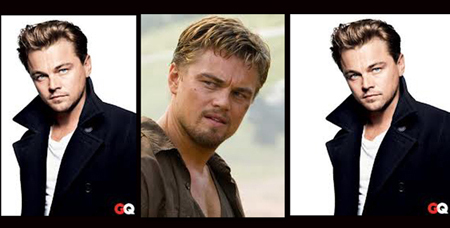 With a few adjustments (trims) as it grows you can find the ideal length and shape for your style. LET’S STYLE IT: To style, start with a dab of a shaping gel or mousse or nothing at all. Just run either through damp hair and comb in place to dry au natural or give it a good tousle with a blow dryer for a full look and relax unwanted waves. 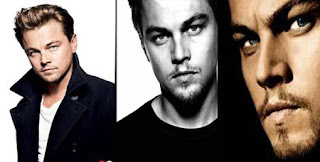 To turn up the shine and thicken it, when dry, add a dab of foaming pomade or finger come with Spray Pomade and you’ve got Leonardo DiCaprio’s movie star style. LET’S ADD WHISKERS: Nothing can reshape a face or add a dramatic look like sideburns and facial hair. This simple addition can make large ears appear smaller, narrow chin wider, cover a ruddy complexion and give a baby face a mature grown up look. This bit of extra styling can also add a artsy look. Include a slim mustache and close goatee or what ever your whiskers do best and you’ve got the look. NOW, LET’S COLOR IT: Movie actors change their hair color often for the many roles they play so dying their hair is no big deal. 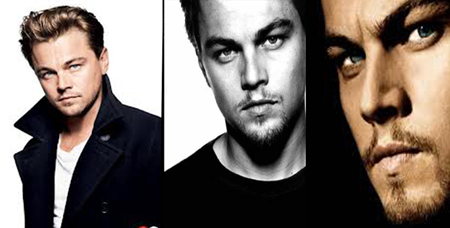 If your hair is light or ash brown like Leonardo’s, use a warm rich brown tint or add a few golden blonde highlights sprinkled throughout, just enough to give it a natural sun bleached look. After, a clear glaze is applied to seal-in the color and turn on the shine. This will cost a few extra bucks but its well worth the expense. Add it to your next styling visit and watch heads turn when you show up looks oh so stylish.